TECHNOLOGY firm Pitney Bowes has designed a software program that will enable national lottery operator Ithuba to add more retailers within a shorter period. The paperless system will also result in faster turnaround times. 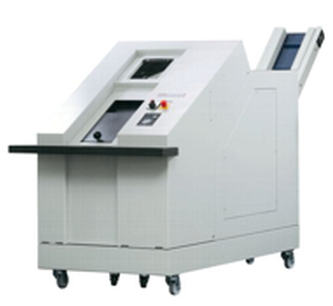 The new system replaces the manual, paper-based processes which require printing, signing and scanning of documents. Leon van der Merwe, business development manager for Pitney Bowes SA, says the system means Ithuba can now enrol new retailers using a tablet-driven application programming interface system, enabling the company’s field agents across the country to auto-populate electronic application forms with verified identity credentials, business information and the exact GPS location of potential retailers. “Once the information is captured, the retailers can sign the digital application form with an electronic signature. The back-office system at Ithuba then performs automated CIPC (companies & intellectual property) checks, commercial credit checks and anti-fraud checks — digitising the entire vetting process,” says Van der Merwe. 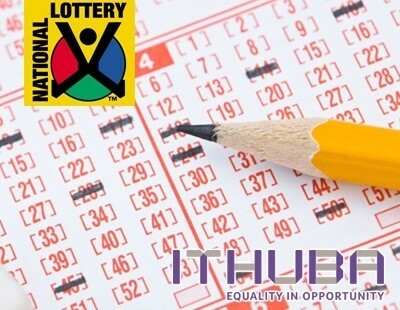 Ithuba, which started operating the lottery this year, is also using Vodacom’s network and related services to connect its systems. Vodacom is providing Ithuba with the communication infrastructure necessary to connect the central gaming system, the regional office and the retailer’s lottery terminals. In becoming the official operator of the South African National Lottery on 1 June 2015, Ithuba has employed a paperless system for inducting retailers who sell lottery tickets across SA through Ithuba lottery terminals. The process, which involves on-boarding and credit-vetting thousands of retailers all over the country, would ordinarily require substantial paperwork per retailer, including manually filling out extensive formsand the signing, scanning and printing of numerous documents, explains Michael Springer, MD at Pitney Bowes SA, the customer communication technology provider responsible for Ithuba’s new paperless system. The paperless system, built and implemented by Pitney Bowes’ e-business division, pbVerify, which specialises in digitising specific, paper-intensive business processes, aims to make Ithuba’s retailer induction process faster and less labour-intensive. PbVerify’s solution uses a tablet-based system to auto-fill digital form fields using personal and business information drawn from data sources such as credit bureaus, the Department of Home Affairs, and the Companies and Intellectual Property Commission. It also employs geolocation technology to capture the exact location of the retail site, even in remote areas, explains Leon van der Merwe, business development manager for Pitney Bowes SA. “Once the information is captured, the retailers can sign the digital application form with an electronic signature. The back-office system at Ithuba then performs automated Companies and Intellectual Property checks, commercial credit checks and anti-fraud checks, digitising the entire vetting process,” Van der Merwe concludes. Your hallway photocopier could be a cyber criminal’s goldmine. Most businesses that place any level of emphasis on guarding internal information will have some sort of system or software in place when it comes to company devices like notebooks, desktops, tablets and smartphones – but seldom does the office photocopier get the attention it deserves. 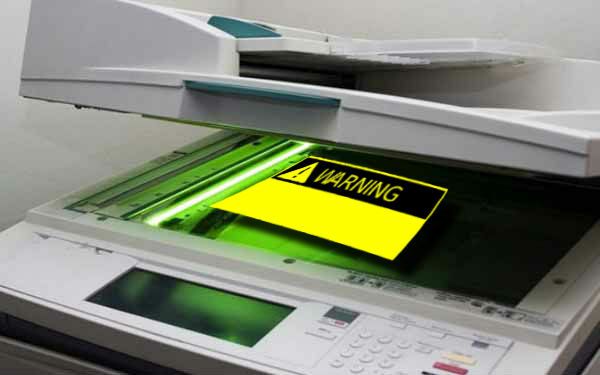 Recently, investigative journalism TV programme Carte Blanche featured an insert about photocopiers and the potential cyber security risk these seemingly safe office staples pose to companies. Although many don’t realise it, the programme argued, “one of the most serious cyber security threats an organisation faces could come from the innocuous photocopier in the hallway”. And the threat is indeed a real one. Your organisation’s photocopier – the very same machine that makes scores of imprints on its hard drive with the press of a button (from the playful handprint of an employee’s child to the top brass’ financial documents) could be a goldmine for would-be snoops and cyber thieves. The reality is, every single document or item that is reproduced and delivered to you on an easily destroyed hard copy, is also saved in the memory of the photocopier’s hard drive. While some manufacturers offer security solutions like hard drive reset, and while there are certain things companies can do to minimise the threat of data theft (let’s be real – who has the time?) these do not provide the level of peace of mind that comes with total annihilation. This is where PBSA’s line of specialised shredders comes in. 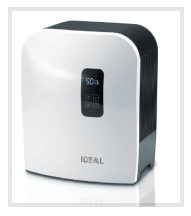 The JBF Universal Shredder offers total peace of mind – leaving not so much as a trace of your photocopied information behind. 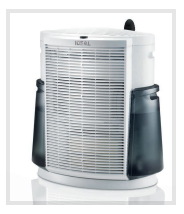 Designed for the shredding of hard discs, CDs/DVDs, video tapes, typewriter ribbon and retaining tape – among others – the JBF Universal Shredder features a letter box slot at the hopper cover that allows secure and continuous feeding of the goods being cut, while a large cutting zone (380 mm x 500 mm) allows high output rates. 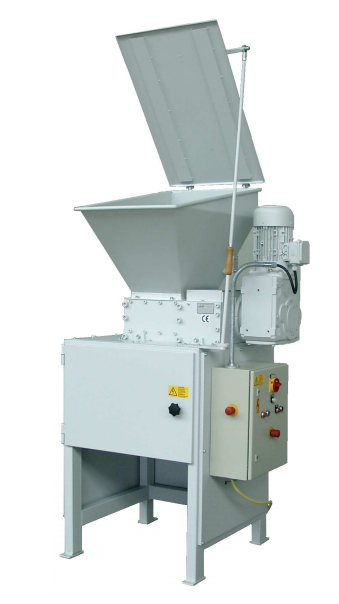 This specialised shredding machine also comes with the optional application of a granulate screen (6, 8, 10 mm etc) made of high-strength, wear-resistant steel. The enormous torque of a powerful 4,0 kW drive with gear motor enables superior cutting performance and a low shaft speed of 11 rpm means no sparks inside the cutting unit, low noise levels and minimal dust. Another specialised solution to the cyber threat that is your office copier is the HSM Powerline HDS 230 Hard Drive Shredder. Safe, data protection-compliant and efficient, the HSM Powerline HDS 230 shreds digital data media into tiny pieces, making data recovery from your photocopier impossible. This data security solution features special hardened solid steel cutting rollers that are hardwearing, impervious and highly durable. Energy-efficient IE 2 motors with a chain drive offer reliable operation with maximum throughput, even with continuous operation. Shredded material is carried out by a discharge conveyor belt and can be collected in any standard container. Cyber criminals today are more sophisticated, determined and ruthless than ever before and your data security systems should be too – and that includes those to safeguard the forgotten cyber threat: your hallway photocopier. In preparation for the running of the national lottery, Ithuba sought to digitise its on-boarding system for retailers and introduce a more efficient, paperless process. The company approached specialists in customer communications and digital signature technology, Pitney Bowes South Africa, and are now positioned as South Africa’s first truly digital lottery operator. The system will enable Ithuba agents to take on thousands of new retailers in a short period of time using a tablet-based system in which all critical information is captured on site, auto-populated and verified. This is a “first” in the National Lottery’s history in this country and a feather in the cap for Pitney Bowes, which developed and customised the system through the company’s e-business division, pbVerify. 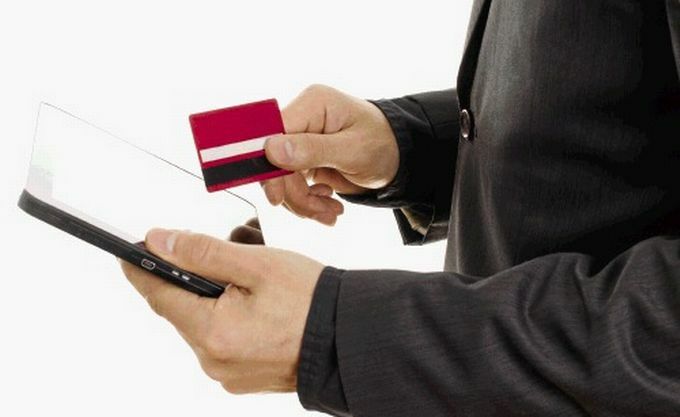 “The system means Ithuba can now enrol new retailers using a tablet-driven API, enabling the company’s field agents across South Africa to auto-populate electronic application forms with verified identity credentials, business information and the exact GPS location of potential retailers,” explains Leon van der Merwe, business development manager for Pitney Bowes South Africa. “We are pleased that Ithuba entrusted such a critical and innovative process to us,” says Springer. “The end-product far exceeded what anyone could have imagined just a few months ago. Not only were the boundaries of ‘going paperless’ pushed further, but we also managed to incorporate the latest in electronic signatures and digital verifications which will see Ithuba soar ahead as South Africa’s first truly digital National Lottery operator,” he concludes. Pitney Bowes South Africa is providing technology for a fully digitised, paperless system for National Lottery operator Ithuba. The lottery operator approached Pitney Bowes South Africa after it sought to digitise its on-boarding system for retailers and introduce a more efficient, paperless process. It is now positioned as South Africa’s first truly digital lottery operator. ‘The system means Ithuba can now enrol new retailers using a tablet-driven Application Programming Interface (API) system, enabling the company’s field agents across South Africa to auto-populate electronic application forms with verified identity credentials, business information and the exact GPS location of potential retailers,’ explained Leon van der Merwe, Business Development Manager for Pitney Bowes South Africa. ‘Once the information is captured, the retailers can sign the digital application form with an electronic signature. The back-office system at Ithuba then performs automated Companies and Intellectual Property (CIPC) checks, commercial credit checks and anti-fraud checks, digitising the entire vetting process,’ he continued. ‘This was a perfect match-fit for Ithuba, which needs to take on thousands of new retailers in a short space of time,’ said van der Merwe. This system is cutting-edge in the world of digital on-boarding because it offers a complete, end-to-end digital solution, noted Michael Springer, Managing Director of Pitney Bowes South Africa. The pbVerify system has relevance for any business regularly on-boarding new clients or customers, a process that normally involves a substantial amount of documents that are required to be completed and signed by the customer. The system uses personal and business information drawn from various data sources, such as the Department of Home Affairs, credit bureaus, the Companies and Intellectual Property Commission (CIPC) and other reputable data providers, to instantly populate digital form fields. ‘As the official Operator of the National Lottery, Ithuba is excited about the partnership with Pitney Bowes South Africa as it gives us an opportunity to modernise the lottery and to further grow our retailer footprint through technology and efficient service to our retailers,’ said Charmaine Mabuza, CEO of Ithuba. ‘Thanks to Pitney Bowes South Africa, we have been able to introduce a ground-breaking paperless system which will vastly enhance our processes and interactions with our retail partners,’ concluded Mabuza. ‘We are pleased that Ithuba entrusted such a critical and innovative process to us,’ said Springer. ‘The end-product far exceeded what anyone could have imagined just a few months ago. Not only were the boundaries of ‘going paperless’ pushed further, but we also managed to incorporate the latest in electronic signatures and digital verifications which will see Ithuba soar ahead as South Africa’s first truly digital National Lottery operator,’ he concluded.